Mercouri Estate Mercouri Estate’s vineyards, a total area of 0.40 ha, are located next to the family residence and in two nearby locations. The land and the climate are ideal for the production of high-quality wines. 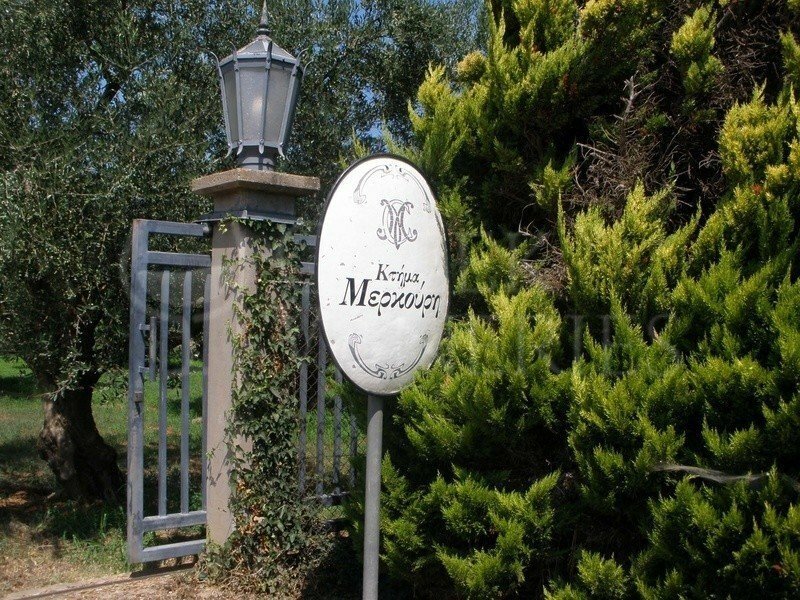 Mercouri Estate is located at the Western Peloponnese, on the plateau of the Ichthis peninsula, near the village of Korakochori (in Greek meaning “the land of the crow”), 2 km from Katakolo, 12 km from Pyrgos and 32 km from Ancient Olympia. 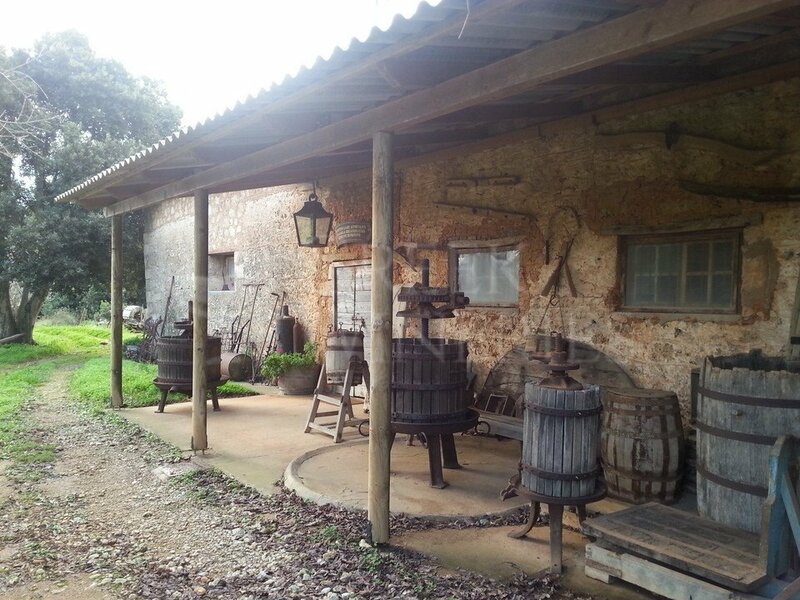 The Estate, with more than 100 years of history, is famous for its wine making, olive oil and Corinthian grapes production. It belongs to the Mercouri family, a family with various interests, but a particular love for the earth. 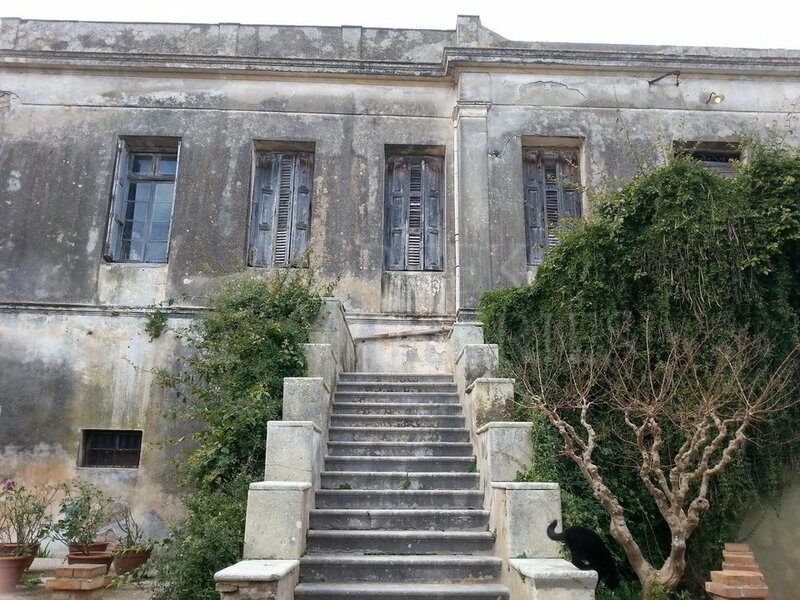 The Estate was founded in 1864 when Theodoros Mercouri, a cosmopolitan and successful businessman with interests in Northern Italy, but mainly in Alexandria (Egypt), bought land that would eventually become the Mercouri Estate. He cultivated his first vineyard with Refosco grapes. In the 19th century, wine from the Estate was exported to other parts of Europe. Ships collected red wine in oak barrels from the small private bay next to the estate and their destination was the port of Trieste. At the same time, the Estate quickly acquired a reputation in Ilia, supplying the surrounding region, for many decades, with the Refosco grape, or the “Mercouri”, as it was locally known. 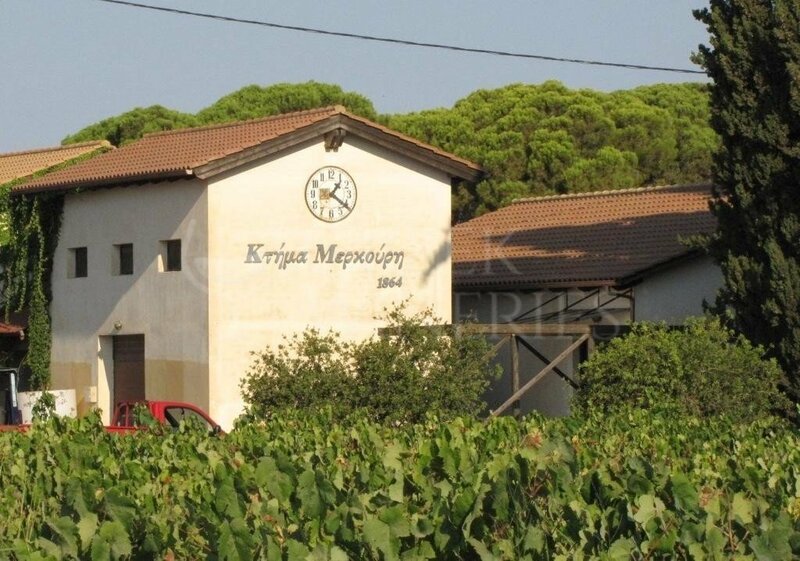 In 1930, Leonidas Mercouri established a modern wine production facility, with underground cellars. Later, the 3rd and the 4th generation of the family began a new, more systematic effort to revitalize the winemaking activities with the production of more standardized, high-quality wines. 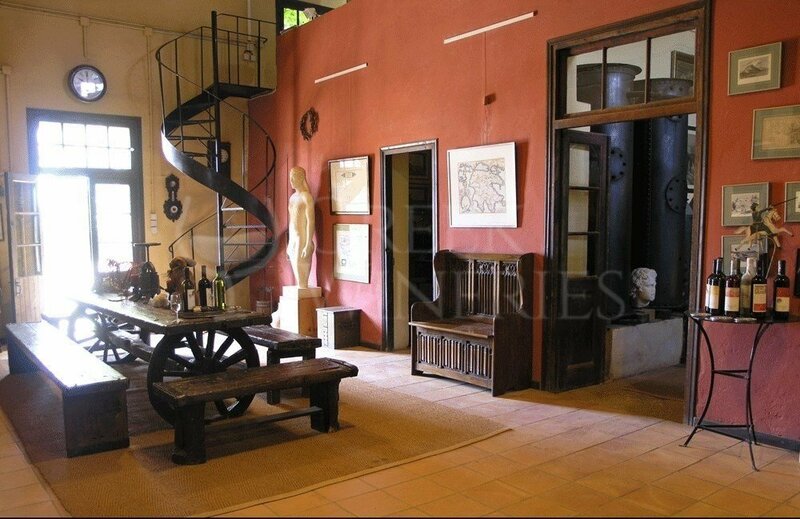 All properties were reconstructed, the wine production premises were modernized and extended vineyards were replanted. The year 1992 was a milestone due to the fact that the Mercouri Estate became a private family limited company. 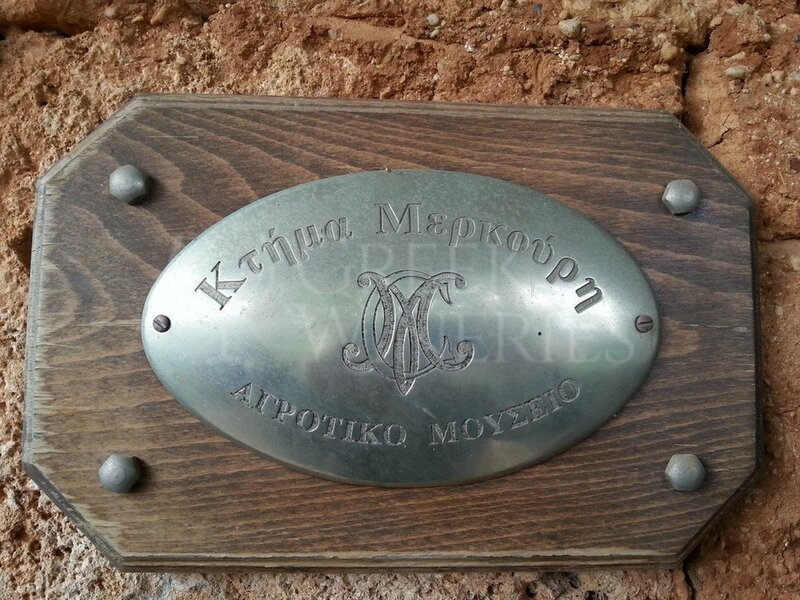 Today, the company Mercouri Estate SA, is operated by Vassilis and Christos Kanellakopoulos, the 4th generation of the family. More than 15 grape varieties are cultivated, of both Greek and international origin. 1. The traditional estate red Refosco in two clones: Refosco Mercouri, grown in the estate since 1870, and Refosco dal Penducolo Rosso. This variety is Italian, but it is also found in France, as Mondeuse Noir, in Dalmatia and elsewhere. 2. The Greek red varieties Mavrodaphne, Agiorgitiko and Avgoustiatis. 3. The French origin red varieties Merlot, Syrah, Mourvèdre and Grenache rouge and the Italian Negroamaro. 4. The special Greek white varieties Assyrtiko and Robola. 5. The French white variety Viognier, the Italian varieties Ribolla Gialla and Malvasia Aromatica and the Spanish Albariño. The vineyards are certified for Good Agricultural Practices. Wines produced: Antares, Avgoustiatis, Belvedere, Chortais, Coma Berenices, Daphne Nera, Domaine Mercouri, Foloi Fumé, Kallisto, Lampadias, Mercouri cava, Refosco clone.